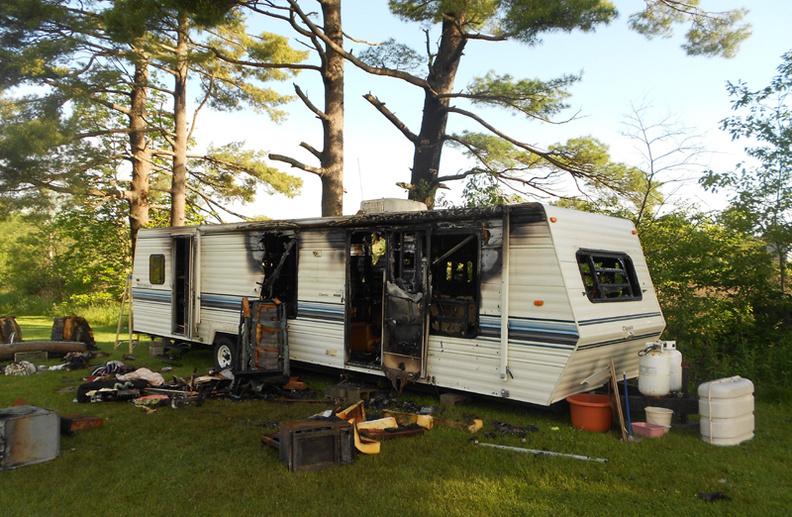 The Augusta Fire Department responded to a recreational vehicle fire on Cony Road around 9:15 p.m. Wednesday. Fire Chief Roger Audette said no one was hurt, but that an elderly woman lived in the RV on her son's property. Fire officials suspect the fire started in a gas-operated refrigerator inside the RV. The American Red Cross is working to help the woman replace her clothing and other items lost in the fire, Audette said. The Augusta Fire Department responded to a recreational vehicle fire on Cony Road around 9:15 p.m. Wednesday. Fire Chief Roger Audette said no one was hurt, but that an elderly woman lived in the RV on her son’s property. Fire officials suspect the fire started in a gas-operated refrigerator inside the RV. The American Red Cross is working to help the woman replace her clothing and other items lost in the fire, Audette said.